High-definition liposuction enables us to reveal the anatomical structures underneath. It is not just about removing fat, but rather about highlighting the shape of the muscles and tendinous insertions with the help of new equipment and new techniques. How is HD liposuction carried out? Dr Olivier Claude: This procedure is carried out under anaesthetic. We use new equipment: new cannulas (narrower and slightly rougher) that allow us to enhance the definition of the muscles, particularly on the lateral side of the muscles, where the tendons go in. We also use assisted liposuction equipment, such as vibro-liposuction tools, which are vibrating cannulas that improve the muscle-sculpting effect. After a month, you can start to see the results, and the swelling should have gone down after three months. However, the results continue to improve over the first year. Can we used the fat removed from one area to enhance other parts of the body? OC: That is a very good question. Fat is a precious material, so in our pre-op appointment, we ask the patient if they would like it to be reinjected elsewhere. We have to assess the patient’s body to see which areas we will remove fat from, and which areas could do with a little extra padding. Generally, this is the décolleté or the upper buttocks, to improve their shape (upper glutes), or the sides of the buttock cheeks to make them softer and more feminine. How do you treat the arms? OC: This is an area which, thus far, has been rather ignored but which responds well to the concept of high-definition liposuction. Once again, this procedure is not just about removing fat, but rather highlighting the shape of the muscles by removing any excess localised fat underneath the deltoid muscle, which makes a person look bulky. This is the widest point of the body. Even if there are just a few extra centimetres of fat there, it makes a person look larger. So, by removing this excess localised fat, we can slim down the figure. 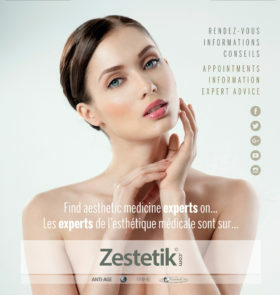 Plastic and Cosmetic Surgeon – Paris. Qualified in Plastic, Reconstructive and Cosmetic Surgery. D.E.S.C. medical specialisation diploma in Plastic and Cosmetic Surgery. Graduated from the French College of Plastic Reconstructive and Cosmetic Surgery. Member of the American Society for Aesthetic Plastic Surgery – ASAPS. 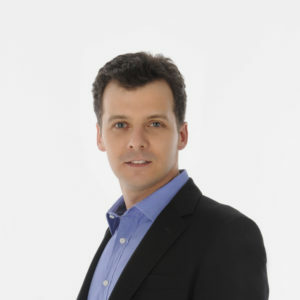 Member of the French Society of Plastic, Reconstructive and Cosmetic Surgery – SOFCPRE.